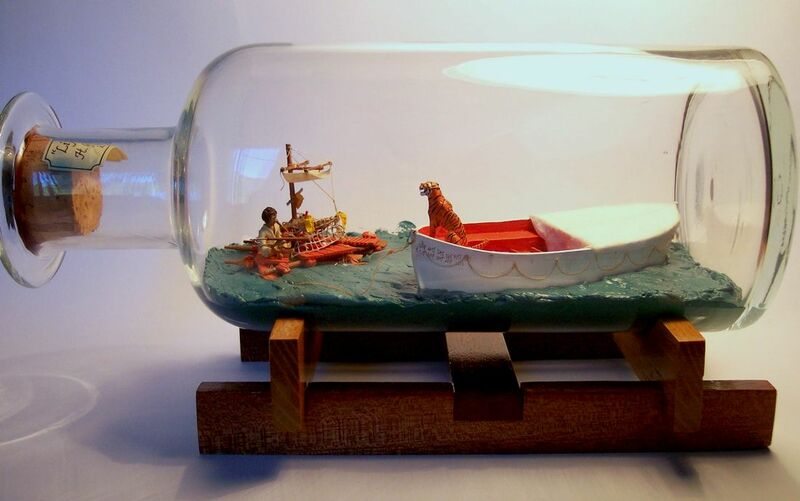 Thanks for visiting the Gallery of special scenes in bottles. 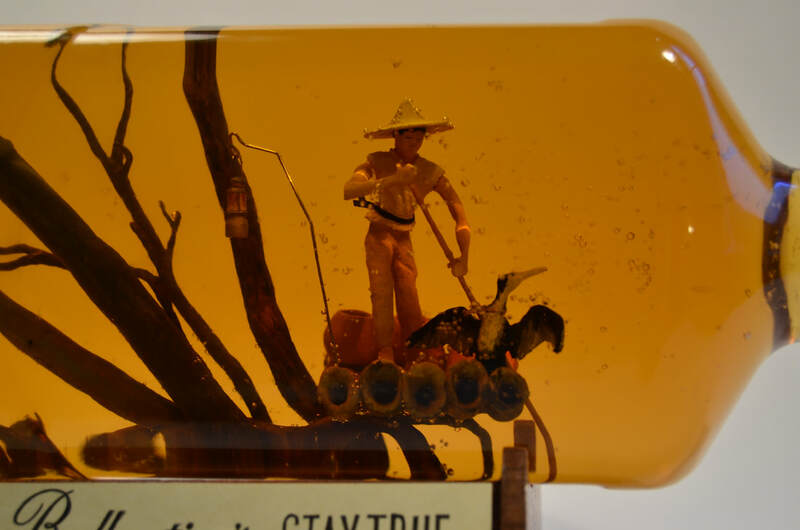 These bottles are generally whimsical in nature, inspired by film, and/or fabricated for promotional purposes. 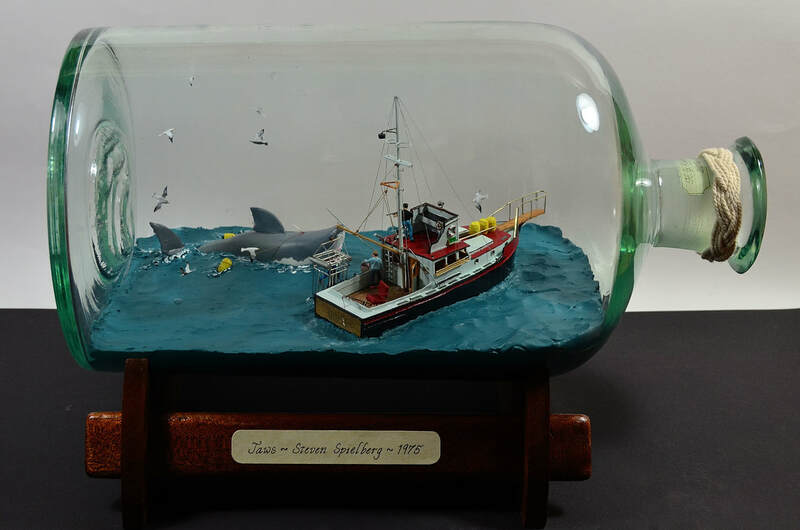 The Jaws Scene in Bottle is based on the 1975 horror, thriller film "Jaws" by Steven Spielberg. 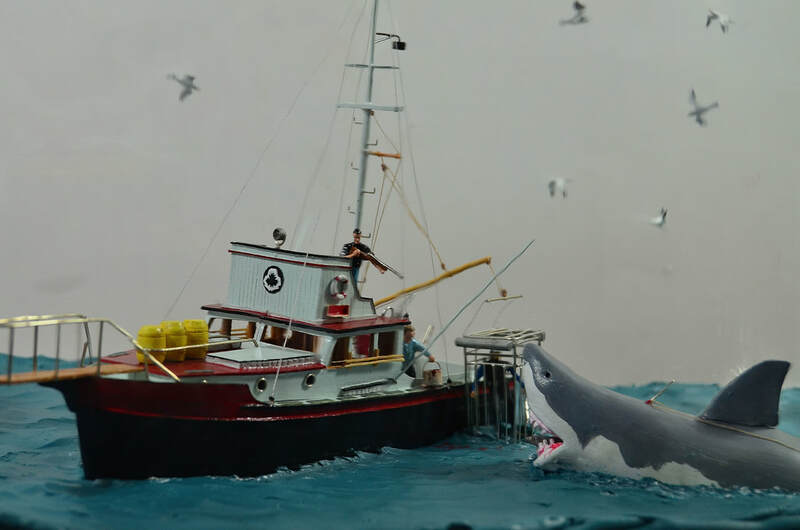 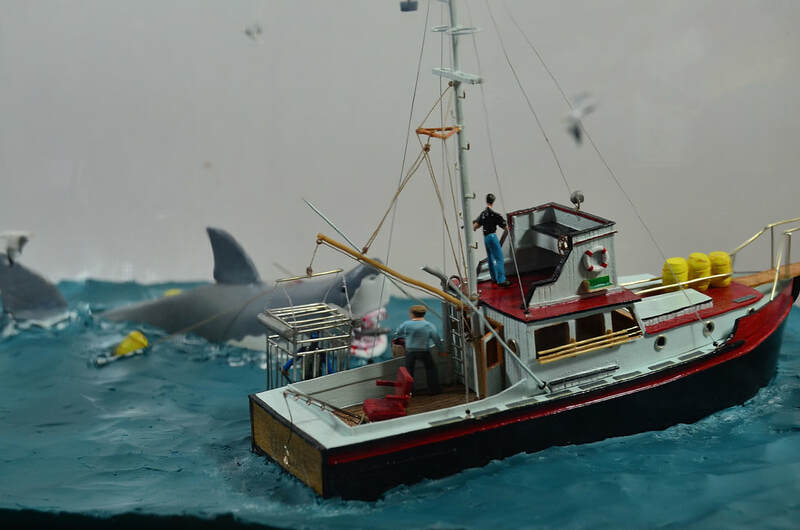 It displays a combination of impressive scenes from the movie and is complete with the three main characters, Brody, Quint and Hooper. 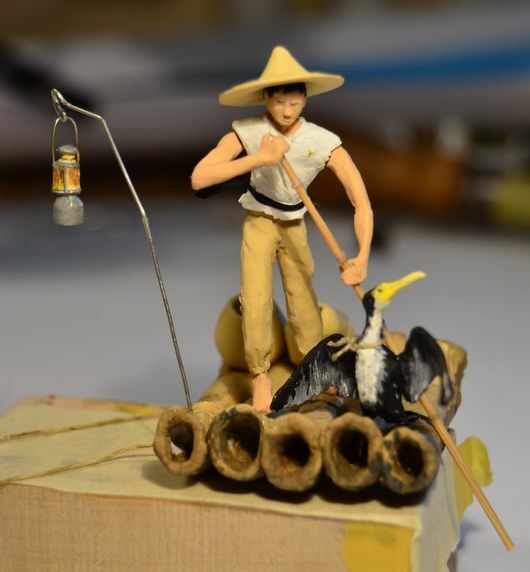 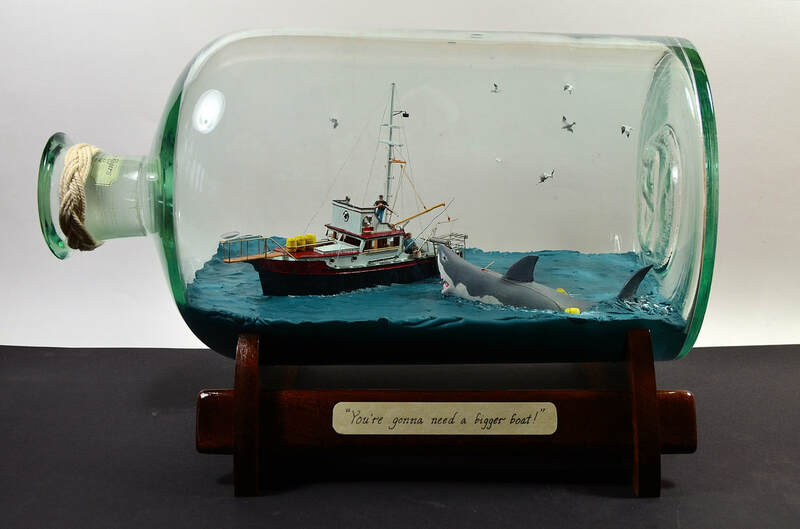 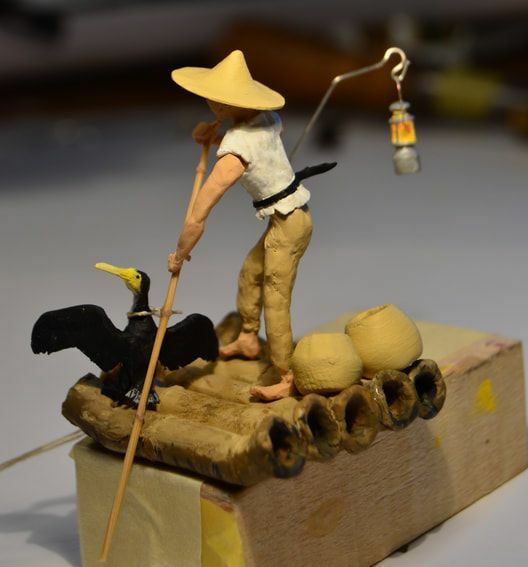 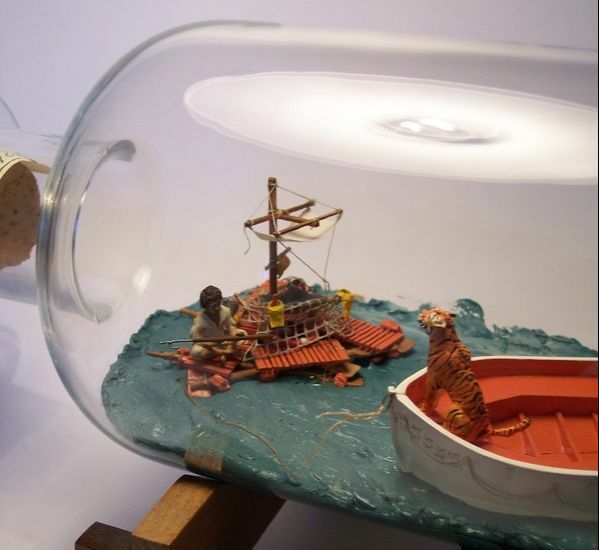 The scene in bottle was built for the online movie streaming site, Blinkbox, to be used as a promotional piece for the opening of the Life of Pi. 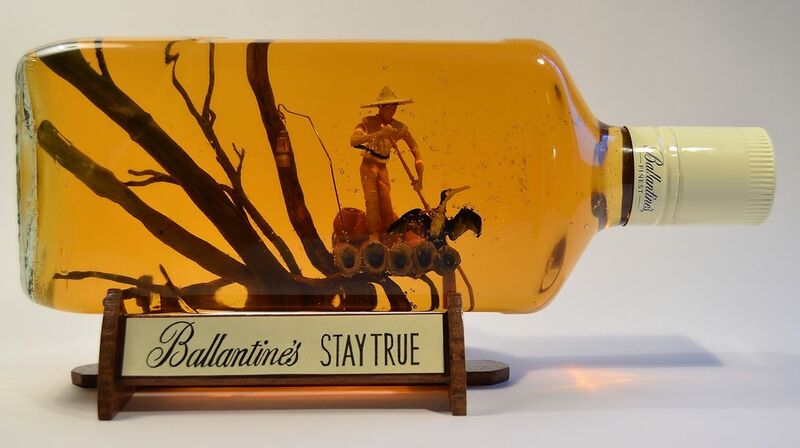 The scene in bottle was built for the Ballantine's Whiskey Brand, in celebration of the Von Wong Photo Shoot "Stay True" Campaign.